In 1896, the West Australian Foundation for Deaf Children was formed and since then has played an invaluable role helping deaf children and their families, working tirelessly to ensure they receive the education, support and information they need. The organisation has a proud history of bringing deaf education to Western Australia. Since formation as the only deaf educator for children, it has evolved to being the lead advocate for deaf education and continues to champion education, connection and empowerment for deaf children and their families. 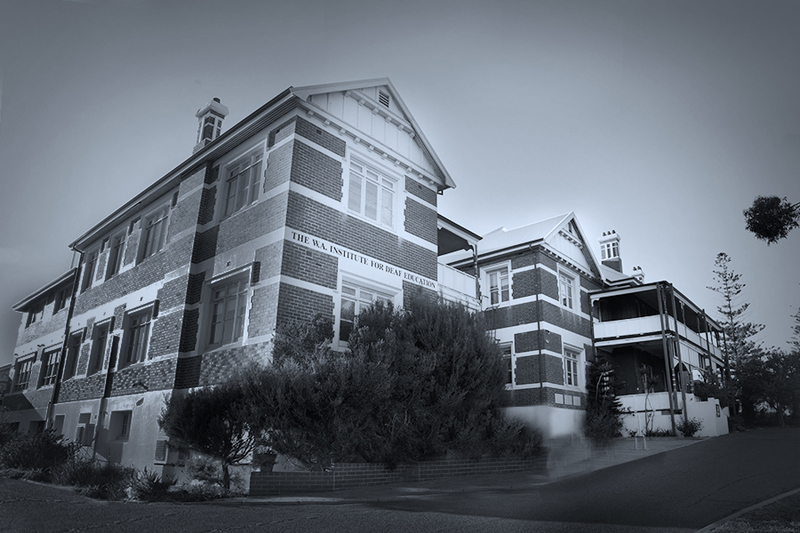 In 1900, the “House on the Hill” in Cottesloe became the home of the West Australian Foundation for Deaf Children. Today the legacy of its importance in the lives of hundreds of deaf children and their families is celebrated by the WAFDC Historical Society. Now, WAFDC continues to respond to the learning and educational needs of young West Australians aged 0 – 24 years and their families with a holistic approach that includes health, social, welfare and schooling advocacy, information and support. WAFDC leads the way in the sector to address unmet needs with its inclusive and collaborative approach.